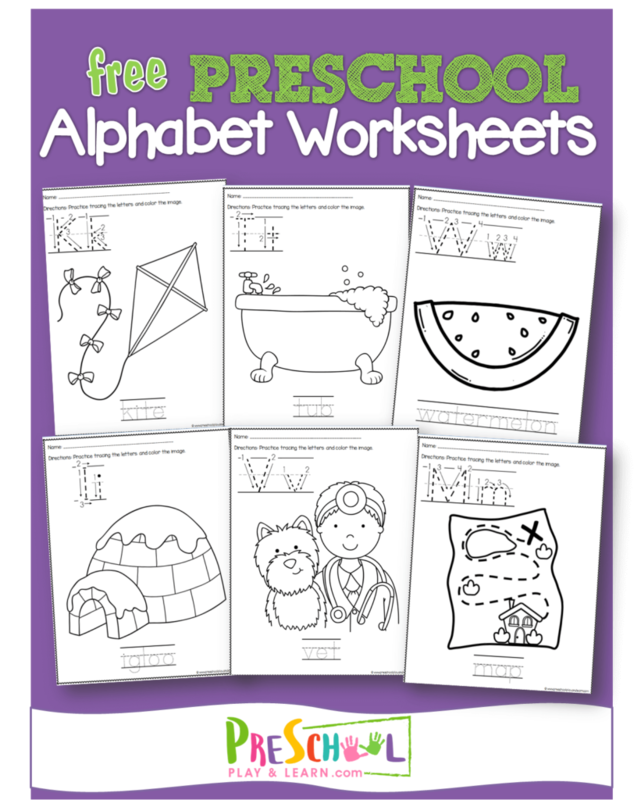 Make learning about letters fun with these free printable Preschool Alphabet Worksheets! These are great for learning to form letters, listen for the sounds letters make, and strengthen fine motor skills at the same time. Simply print one of these black and white alphabet printables and you are ready to practice writing letters, strengthening fine motor skills, and listening for the sounds letters make! These are great for toddler, preschool, and kindergarten age kids. There are 26 black and white worksheets, one for each letter from A to Z. 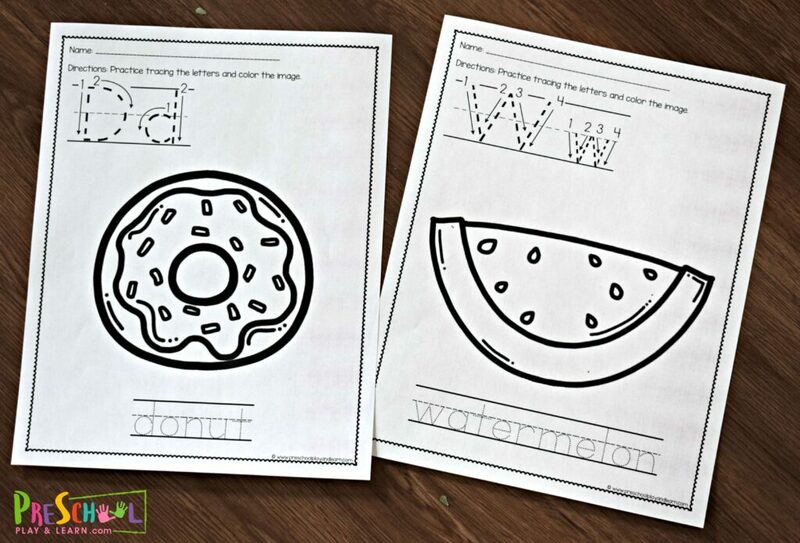 Simply print the alphabet worksheet for the letter (s) you are working on and you are ready for NO PREP learning! Students can trace the uppercase and lower case letters at the top to learn how to correctly form each letter. 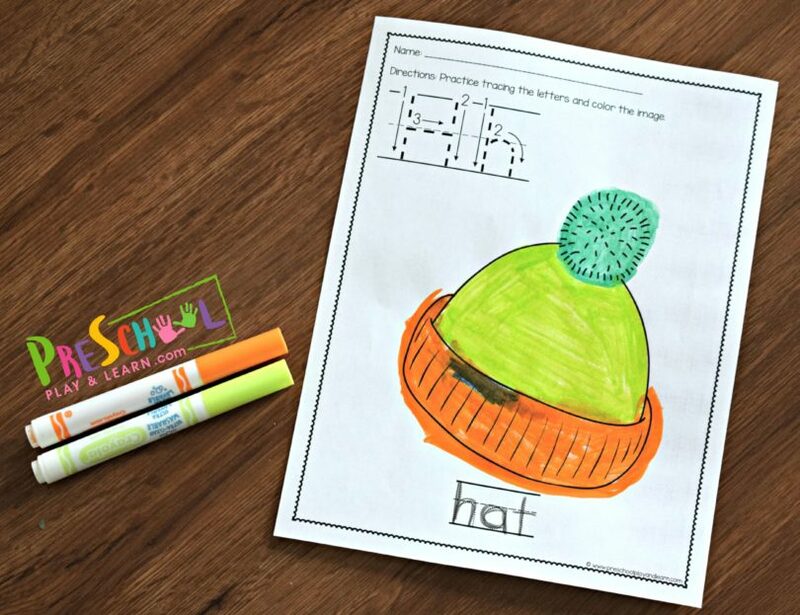 Then they can color the picture that starts with the same letter – great for listening for the sound letters make. 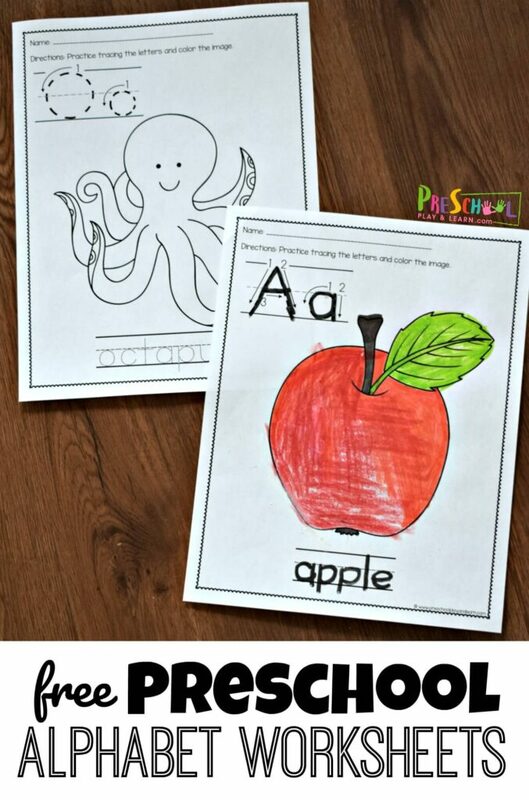 Finally, they can practice pre-writing skills by tracing the picture word underneath. HINT: If you like, they can save the pictures to make their very own alphabet picture book.